Historical writing about the U.S. war in Vietnam has generally focused on what the war meant for Americans. The ugly reality that faced U.S. troops on the ground has been portrayed in film and literature. U.S. policy makers have been roundly taken to task for their role in one of the great foreign policy disasters in our nation’s history. These efforts were all part of the necessary process of coming to terms with the U.S. experience in Vietnam and with its meaning for the limits of imperialist ambitions. But American authors, pro and con, have primarily viewed the war as part of the chess game of global Cold War politics. The experience of the Vietnamese people has been largely neglected. 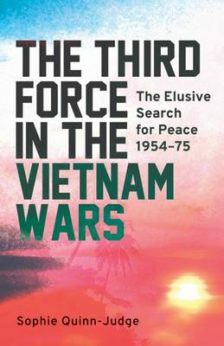 In The Third Force in the Vietnam Wars: The Elusive Search for Peace, Sophie Quinn-Judge has tackled this long-hidden story. She has important things to tell Americans as we face a world which, while in some ways is much changed from half a century ago, continues to challenge, confound, confuse, and torment the U.S. foreign policy establishment. Remember the domino theory? U.S. foreign policy “experts” from John Foster Dulles through Dean Rusk, Henry Kissinger and others too numerous to mention pursued and peddled this world view and acted on it for decades. 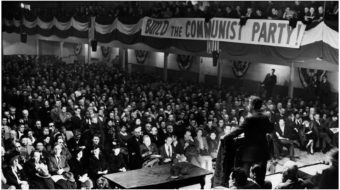 The primary aim of U.S. foreign policy was to halt the spread of “communism” around the planet, an undertaking which involved blocking the supposed expansionist ambitions of the Soviet Union, and after World War II, of China as well. In fact, the people’s movements seemed to be gaining ground around the planet and threatening the post war interests of U.S. imperialism. Indochina and Vietnam, in particular, crept into the consciousness of Americans after the defeat and withdrawal of the French in 1954. Quinn-Judge’s narrative covers the period from that year until the collapse of the U.S.-supported South Vietnamese regime in the spring of 1975. During these two decades, the guardians of U.S. global interests experienced intensifying frustration in their effort to meet the “communist threat” in that far off part of the world. Vietnam presented a particular problem because the Geneva agreement ending the French colonial presence there had provided for nationwide elections in 1956 to determine who the leaders would be. That is not how things turned out. Instead, the U.S. refused to sign the Geneva accords and backed an anti-communist government led by Ngo Dinh Diem and his brothers that took power in the south (in Saigon) and thus violated the Geneva agreements. The task of organizing elections was to prove endlessly challenging to the U.S. sponsors of a succession of South Vietnamese governments because they could never be confident that the winners would share their obsession with keeping the country out of the orbit of international communism. The U.S. leaders’ rationale for their policy was that the people of South Vietnam needed to be protected from the Communists to the north. 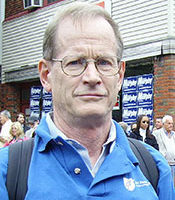 For example, the author quotes McGeorge Bundy, advisor to two U.S. presidents, who claimed that the U.S.’ role in Vietnam was different than European colonialism because the U.S. in 1965 was “responding to the call of a people under Communist assault….” He and others used this argument to try to explain to the American people why it was necessary to spend ever-increasing amounts of blood and treasure to support a series of South Vietnamese governments that either came to power by military means or by winning severely restricted or corrupt elections. And this rationale took virtually no account of the desires of the 18 million people of South Vietnam, who were assumed to be non-actors in the global Cold War drama. Even given U.S. policymakers’ initial ignorance, there were many missed opportunities to avoid the deepening quagmire that ended in U.S. defeat in 1975. Thirty years earlier, the Vietnamese coalition government under Ho Chi Minh had been encouraged by the words of President Roosevelt and hoped for U.S. support in their independence struggle. The U.S. failure to sign the Geneva agreements was, therefore, not the first such missed opportunity; it would not be the last. And every time the U.S. foreign policy establishment proved unable to overcome its ingrained anti-communist outlook. The Buddhist activity did not end there, however. One key leader, Thich Nhat Hanh, brought a powerful message to the United States at the invitation of Cornell University. 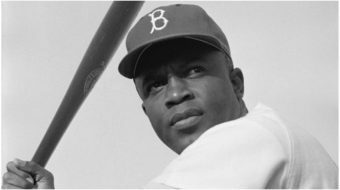 After a press conference in Washington, DC, at which he called for a total bombing halt and U.S. aid for the reconstruction of Vietnam, he stayed in the U.S., having been advised by his supporters that it would be too dangerous to return to Vietnam. He later met and appeared at a press conference with the Rev. Martin Luther King and, Quinn-Judge suggests, likely had some influence on King’s decision to deliver his speech at Riverside Church in April 1967. Her account of the last years of the U.S. occupation becomes increasingly harrowing. President Nixon’s backdoor-dealing with Vietnamese President Thieu sabotaged the Paris peace talks and was followed up by his stated “Vietnamization” policy. For the South Vietnamese, this meant intensification and widening of the conflict and of the area under U.S. bombing (including across the border in Cambodia) and increasingly extensive and brutal repression by their government. Her accounts of what witnesses saw in the prisons of South Vietnam during this time are not easy reading. The author does not ignore developments in North Vietnam as they related to events and trends in the south. The leaders in the north got support from the socialist countries, especially the Soviet Union (she mentions Soviet surface-to-air missiles [SAM] as defense against U.S. bombing) and China, but they also saw changes in the socialist world during the period covered, such as the Chinese Cultural Revolution of the mid-1960s. Their primary concern was reaching sometimes hard decisions about how to unify the country and how and whether the U.S. could be made to withdraw. Even after the signing of the peace treaty in January 1973, it remained unclear whether or not a negotiated solution could be reached. However, the increasingly isolated government of South Vietnamese President Thieu seemed to have no intention of reaching a more permanent peace agreement. He continued to count (sometimes erroneously) on U.S. air and other support. As one observer quoted by the author wrote at the time, “Toward South Vietnam, the United States behaved not as if carrying out a peace treaty or disengaging, but as if reconfirming a military alliance.” But, she says, Nixon’s resignation in August 1974 “caused a sea change in Saigon politics,” and most observers could tell that by that time, there was no saving the regime that U.S. money and military aid had propped up for so long. The opposition was broad and growing during the period covered. It was based in part on the experience of the Vietnamese people under French rule and in part on the longer history of Vietnam. It was drawn from various sections of the population, including Buddhists, Catholics, students, workers, academics, and journalists. And what about the role of communists? Isn’t that what the U.S. involvement was all about? We learn that, after World War II, the Vietnam Workers Party advocated and worked for a peaceful path to develop the country. The Fatherland Front had a mass following during the 1950s and put forward demands for educational improvements (and the teaching of the Vietnamese language), lower student fees, and higher wages and salaries for workers. 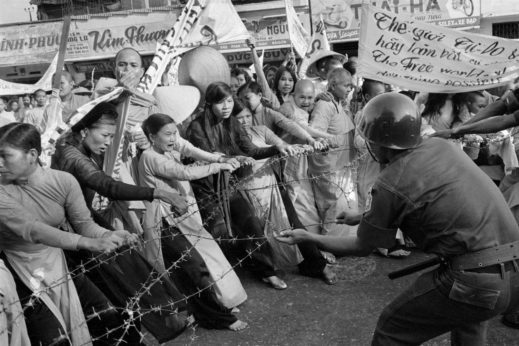 In 1957 on May Day, 200,000 people marched in Saigon demanding democracy and the peaceful reunification of the country. This was met within a few months by the Diem government’s response: disbanding some 30 labor unions and then, by 1959, driving the “communists” underground. Quinn-Judge suggests that the Vietnam Workers Party had an influence beyond its numbers, which in any case are hard to determine. We learn that many activists in the NLF (and the Provisional Revolutionary Government or PRG organized in 1969 in South Vietnam) were “non-communists” who supported the program and opposed the U.S.-backed regime. Seen from this perspective, since the U.S. leaders thought they were fighting international communism, couldn’t it be argued that the Vietnamese resistance, “communists” and “non-communists” included, was the “Third Force”? 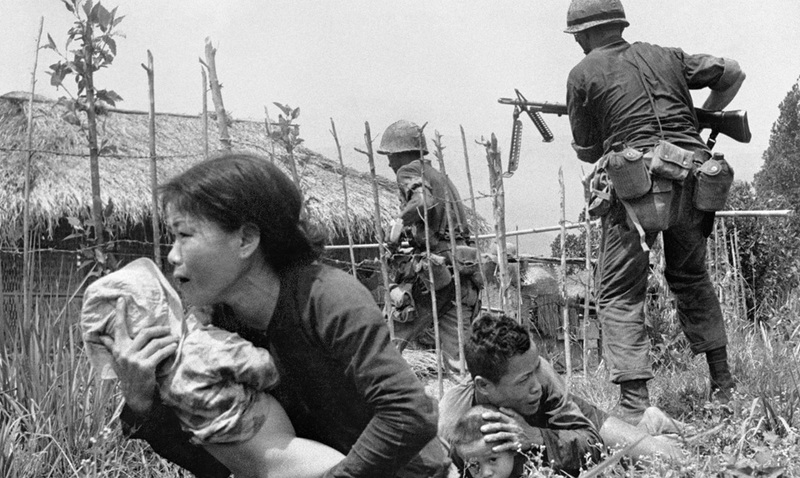 It was, she says, the “stubborn brutality of U.S. policy” that refused to hear or listen to the voices of the Vietnamese that caused the long war and destruction that their country endured. Why does Quinn-Judge’s book deserve attention today? We are living through a time that we could hardly have imagined a few years ago, with a U.S. president who is, in many ways, different than the foreign policy heavyweights of four or five decades ago. But it is hard to miss one frightening similarity in his administration’s view of international affairs. Today, the chosen adversary is North Korea. Neither the president’s pronouncements nor the analysis from news outlets and commentators show any understanding of the history or the desires of the people of the Korean peninsula, north or south. U.S. leaders would all do well to learn the history of Korea and the history of the U.S. record in Vietnam.